Note first that the name of the brewery, ‘Fyne Ales’ is not a boast, it’s because of its location, at the head of Loch Fyne in Argyll. The brewery is ten years old and according to the Good Beer Guide, supplies 430 outlets from its ten barrel plant. I was recently sitting in the excellent Prince of Wales pub in Foxfield, drinking companionably with a friend. We each had a pint of Fyne Ales Hurricane Jack, which we agreed was a very fine pint indeed. In fact, we concurred, we’d never had a bad pint from Fyne Ales. 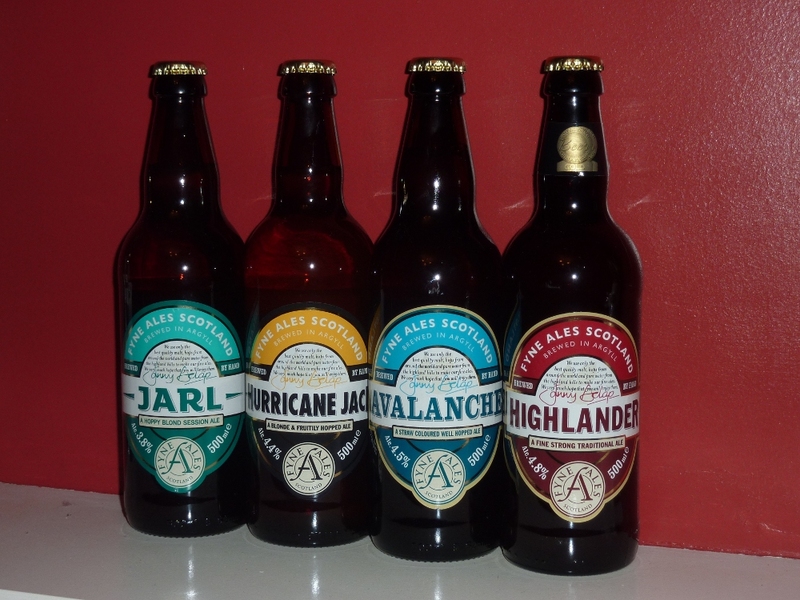 I decided to follow up on the thread, and shortly afterwards bought four bottled Fyne Ales. The labels are smart and uniform, giving a little information about each beer. As I prefer to do, I drank them in order of increasing ABV. 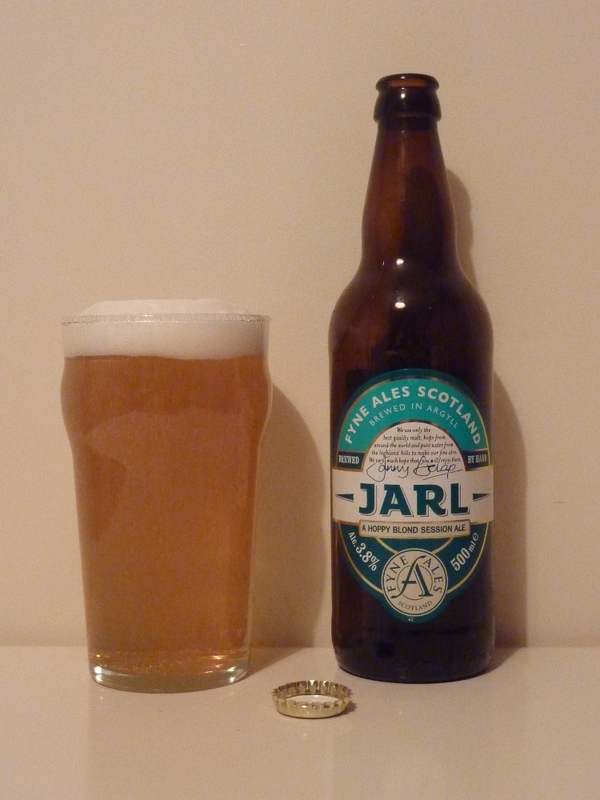 The first was Fyne Ales Jarl, a 3.8% blonde ale, described on the bottle as ‘A hoppy blond session ale’. It pours with a bright pale yellow colour and a creamy white head. The aroma is of strong fresh citrus. The flavour is also strong, grapefruit pithiness with strong fruity hop bitterness. The finish is dry, and gets drier in the aftertaste which is long and bitter. Absolutely brilliant. That would indeed provide me with a happy session. 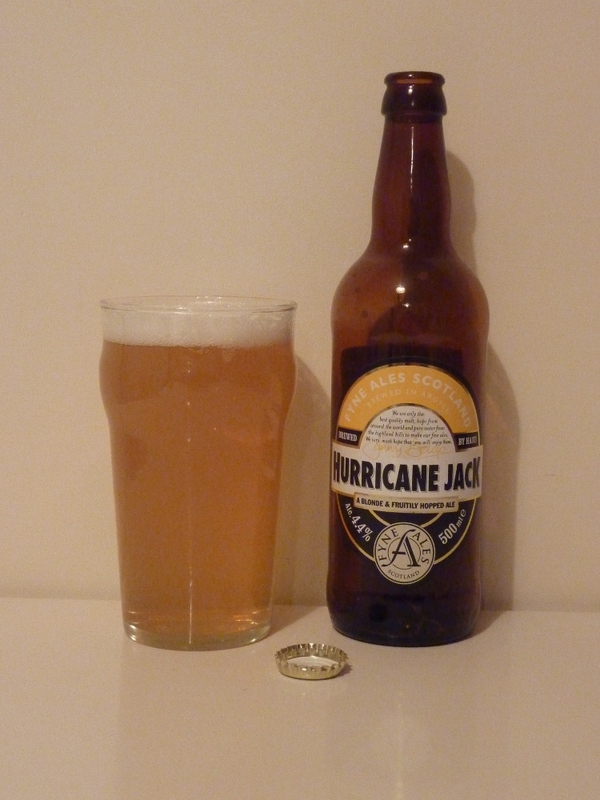 On to the second, my beer from the Prince of Wales, Fyne Ales Hurricane Jack. This is a bit stronger than Jarl at 4.4% and the bottle bears the description ‘A blonde & fruitily hopped ale’. And yes, they do spell it ‘blond’ on Jarl, and ‘blonde’ on Hurricane Jack. So then, another blond(e). It pours as a very pale yellow, with a white fairly short-lived head, unlike the Jarl head, which lasted to the bottom of the glass, by which time it had sculpted itself into a proper weird shape. Fun. There’s a strong citrus smell (hang on, haven’t I been here before?). The taste has strong elements of grapefruit pith and hops (yes, I have been here before). The flavour is not as strong as Jarl, but otherwise pretty similar. 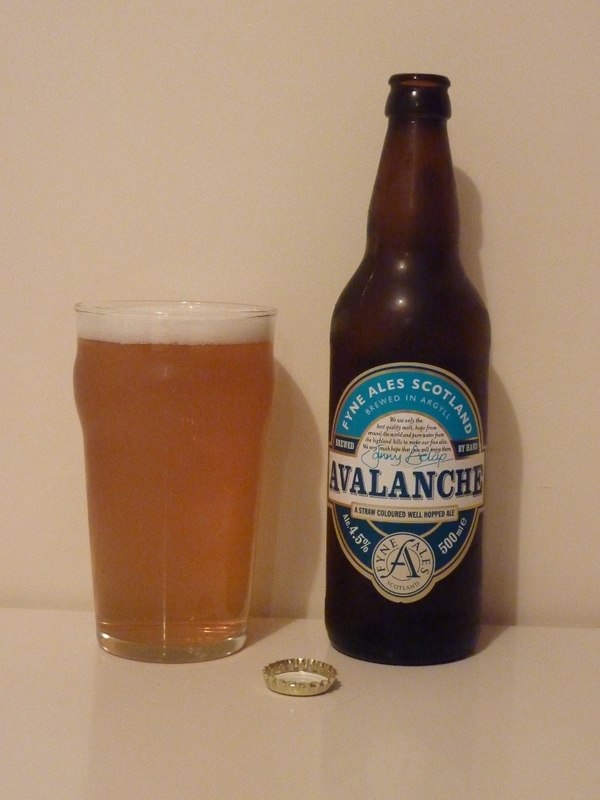 Moving on, I came to Fyne Ales Avalanche, 4.5% and described as ‘a straw coloured well hopped ale’. Hmm. Another blonde then. The beer is a pale yellow colour. There is a clean citrus aroma, and the taste is strongly citrus pithy with a lot of hoppy bitterness. It’s clean and crisp, but I’m sure I’ve tasted something very similar recently. With a slightly sinking feeling, I poured my final bottle into my glass. Oh, and yes, I do wash my glass out between beers if I’m doing a tasting. 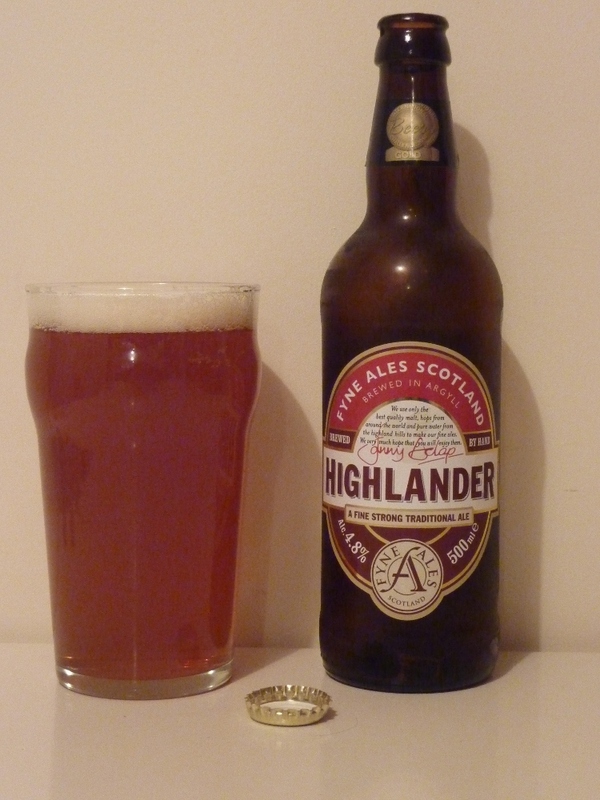 Fyne Ales Highlander has an ABV of 4.8% and the label describes it as ‘a fine strong traditional ale’. With a little relief, I noticed that the colour was not pale yellow, but palish orange. Not a blonde then. There is a faint caramel aroma which I liked very much. The taste is slightly warming. Malty with toffee notes. There are also hints of orange in there, Hops appear towards the end of the taste. The aftertaste is small and short, but dryish. I’m not exactly sure what type of ‘traditional ale’ this is supposed to be – an English bitter or a Scottish heavy, maybe. Either way, it’s terrific. Don’t get me wrong here. These beers are all excellent. I would happily drink any of them again. It’s just that the first three are so similar, it’s very hard to tell them apart. There are differences, but the similarities far outweigh them. I’d like to try them side by side on hand pump, but to be honest, if I walked into a bar that had all three of these on, I’d be disappointed at the lack of choice. I’d be happy to encounter Highlander and any one of the other three ales in a pub, but not more than one. It seems that there is no time of year when a beer festival is not being held. 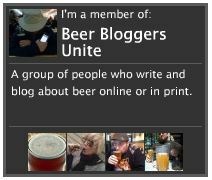 Looking through the listings in What’s Brewing details enough beer festivals to fill every weekend of the year. Even early December, dismal and dank, has enough festivals to keep the dedicated drinker happy. 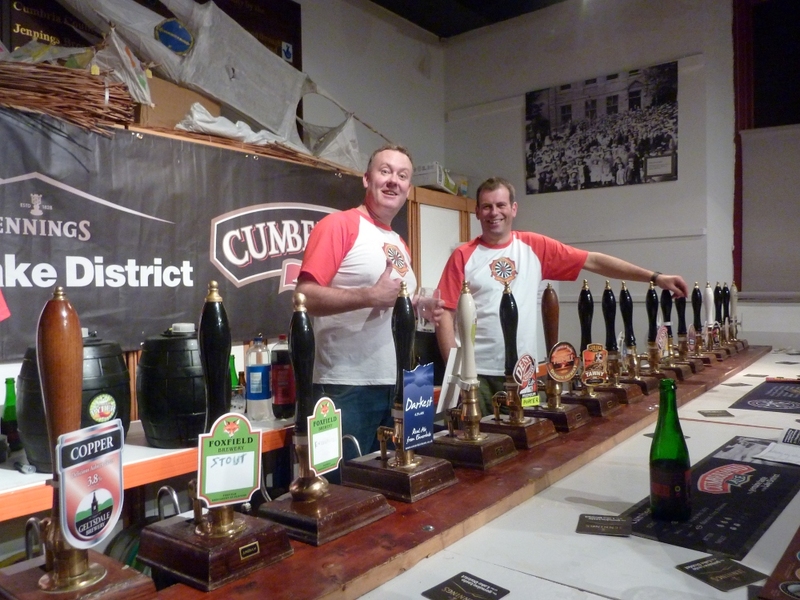 The Cockermouth Beer Festival was held from Thursday 1st December to Saturday 3rd December 2011. Cockermouth is a pretty market town in the county of Cumberland, and the administrative area of Cumbria. It’s a major population centre in the midst of the sparsely inhabited area between the Lake District and the Scottish border. The festival was held in the Kirkgate Centre on Kirkgate, and attractive street of early 18th century cottages, one of which Lady A and myself rented with a couple of friends for the festival. Being only a hundred yards from the festival has obvious advantages. Our friends had been to the Cockermouth Festival before, and pre-warned us that seating was limited and we would need to get there soon after the doors opened if we were to have any chance of sitting down. We duly arrived at the door of the Kirkgate Centre at 7 o’clock, and managed to secure a table. The Kirkgate Centre has two main halls, one upstairs and one downstairs. For this first session, we sat in the downstairs hall, away from the deafeningly loud live music that blights so many beer festivals these days. The beers were arranged alphabetically, and downstairs had A-G (the bar upstairs was longer, being arranged along the hall instead of across it.) Breweries represented were Abbeydale, Barngates, Blackbeck, Coniston, Cotleigh, Cumbrian Legendary Ales, Dent, Derwent, Ennerdale, Foxfield and Geltsdale. The hall filled up very quickly, and I soon saw the wisdom of getting in early. It became quite a scrum to reach the bar. We went upstairs for the Saturday afternoon session, getting in just on 12 o’clock. The bar upstairs continued from G to Y, dispensing beers from Great Gable, Hardknott, Hawkshead, Hesket Newmarket, Jennings, Keswick, Kirkby Lonsdale, Madcap, Marston, Newman, Salopian, Strands, Stringer, Tirril, Titanic, Ulverston, Watermill and Yates Breweries. It was damned cold in the upstairs bar that afternoon, but it kept the beer in good condition. I can say that none of the beers I had at either session was out of condition. Top beers for me from this festival were: Foxfield Encounter, a 4% bitter (I assume), with a thoroughly modern taste – smooth, slightly creamy and with a nice hint of biscuit. Another Foxfield brew – Stout, at 4.4% offered treacle, dark coffee and small traces of smoke. Hardknott Code Black, a 5.6% dark ale was an intensely hoppy mouthful with strong citrus notes and a devilishly bitter finish. Yates Best Cellar, a red-coloured beer, stronger than it tastes at 5.5% had a good, smooth mouthfeel with distinct toffee and fruit flavours. Honourable mentions can be given to Blackbeck Carnival Kiss, Blackbeck Dolly’s Trick Shot and Stringer’s Stout No. 2. The festival was well arranged and organised. 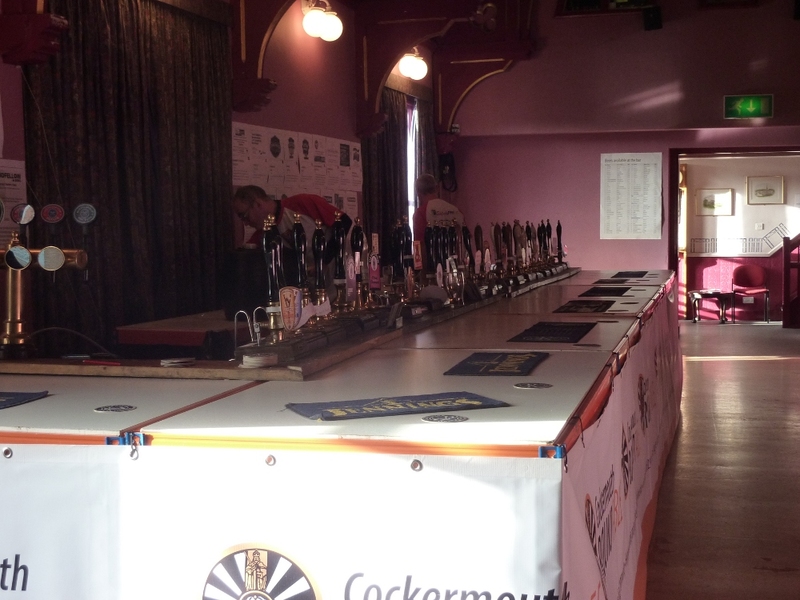 All beers were dispensed through handpumps, and as I mentioned before, were in good condition. The staff were all helpful and ethusiastic. If I may level one criticism at the festival, it would be that the beer list was a tad too ‘safe’. Most beers were in the 3.5 – 4.7% bracket, with only four breaking the 5% barrier. These were Hardknott Code Black (perhaps the most pleasingly different of all the beers I sampled), Jennings Snecklifter (a Jennings stalwart, always a favourite), Madcap Smoked Madness (at 6.9% by far the strongest beer on offer) and Yates’s Best Cellar (again, already mentioned as amongst my festival winners). There were lots of beers that tasted very samey. The majority of beers on offer were middle-of-the-road bitters and goldens. For example, when I came to read my tasting notes for the two Blackbeck beers, I found them to be almost identical. I enjoyed them both, but would have been happier if there had been something to distinguish them. Quite a few of my notes contain the words ‘dull’ or ‘uninteresting’. I want more from a beer festival, I want to taste new and exciting beers. Although I understand that the festival was not a CAMRA one, but was organised by the local Round Table, and therefore raising money for charity was the main objective, I think there was room for a few more adventurous choices.